Citrus features prominently in many of my pastries and desserts. It really brightens the flavor of fruit, enhances cakes and provides depth to creams and custards. In particular, I consider lemons essential to my work and I always have them handy. For this recipe, I decided to make lemon the star. I love an easy and refreshing sorbet, but in this formulation I introduced some buttermilk to add another layer of tang. I also mixed in some heavy cream for lusciousness. When you add dairy to sorbet, it becomes sherbet. This recipe couldn't be any easier. All the ingredients are simply whisked together and then chilled thoroughly, preferably overnight to allow everything to relax and mingle. Then it's churned and presto! A cool and tart scoop is yours. - Salt is very important to enhance the properties of dairy. Keep adding a few grains at a time until the flavor pops. You'll know it when you get there. - Chilling the base thoroughly means your ice cream machine will work efficiently and more effectively. 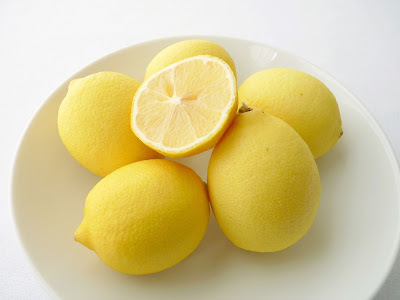 - Before churning the sherbet in your ice cream machine, you can strain out the lemon zest if your prefer. 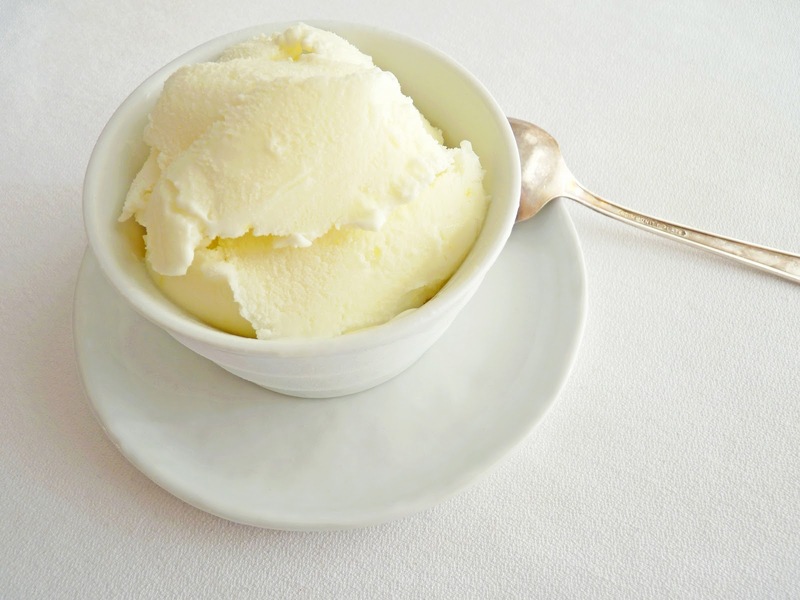 - After pouring the churned ice cream into a clean airtight container, I press a piece of plastic into the surface to prevent ice crystal formation. - Add a tablespoon or two of vodka for a softer sherbet. 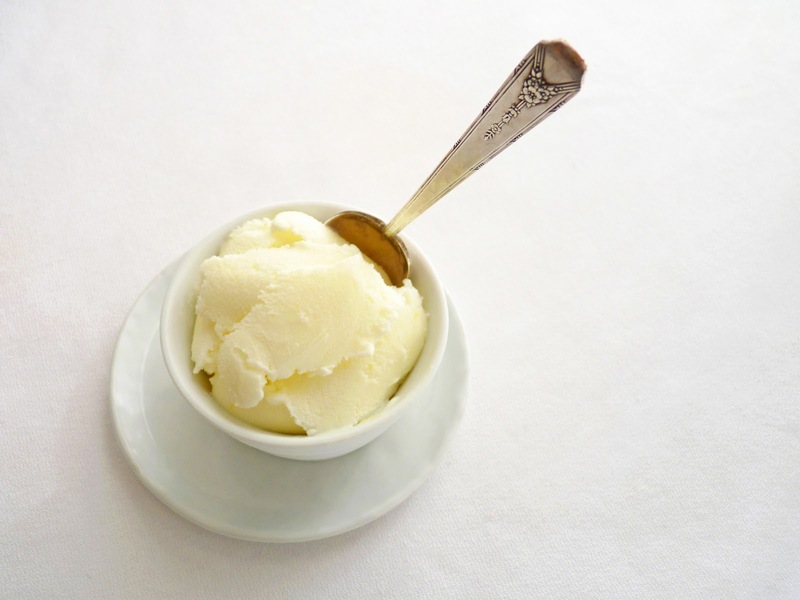 - Because homemade ice cream doesn't contain any commercial additives or emulsifiers, it needs to sit at room temperature for a few minutes before scooping. - This is great served alongside berry pies or tarts in the summertime. Whisk the mixture and freeze in your ice cream machine according to manufacturer's instructions. Pour into a clean airtight container, press a piece of plastic into the surface, cover and place in your freezer to firm up. Hello ^_^ This looks lovely. Would you recommend trying this with Meyer lemons? And if so, would you reduce the amount of sugar? Aren't Meyers a bit less sour than regular lemons? I too, love lemon. I am reading this with hot lemon and honey in hand! A welcomed change to coffee or tea some days. Great tip about the vodka. Never would have thought to make that addition to coax the sherbet into submission. Howdy, lemon lovers! Hope you enjoy this one. Marilee, yes - Meyer lemons would be wonderful! They are not as edgy as Eureka lemons. So for the sugar, start with 1/2 C and then keep adding from there until you have the right level. But remember, make it just a tad bit sweeter because once frozen, it's not exactly quite as sweet. This sound delicious. Someone once commented that lemon goes well with almond so I think this might be delicious with a plain little almond cake I make (you probably know the one, from Pure Dessert) so I am going to try it to eat with that. Now the only question is what to drink with that dessert, limoncello or Amaretto! Happy New Year, Victoria! Hope you had an exceptional holiday season with family and friends and lots of memorable meals. Serving this with an almond cake sounds totally splendid. And such a dilemma about which drink to pair! Yum. Very best wishes for a great new year full of delicious morsels. Our Meyer lemon tree, is still a juvenile, so is only gifting us with a handful of fruit. I make a sorbet, but I've been telling myself that I should try sherbet. I love that you use buttermilk! I use alcohol when I make sorbets, and I'm thinking limoncello might be fun to add to this. Strain out the zest? Never! That's the best part. Lovely recipe. Hello, Debby, and Happy New Year! Why didn't I think of limoncello? And I'm with you on the lemon zest. Happy citrusy new year and almost-Spring. Can't tell you how much I love this. Just made a batch with some softly cultured buttermilk. I was probably too paranoid about the dairy curdling so I added cold juice to the base after it was super chilled. And straining the zest this time after an initial steeping (+vanilla bean, lemon verbena) wasn't all bad, the resulting smooth texture was lovely. I like the suggestion of Limoncello, but my last batch is not quite right for this yet. At the risk of repeating my love of Kirsch, it works quite nicely here, too. Hey, Bryan! Glad to know you're a citrus fan. This is such an easy sherbet, you can try just about anything. I also love kirsch and am now very curious about how it might taste in this recipe. Thanks and have a great weekend!